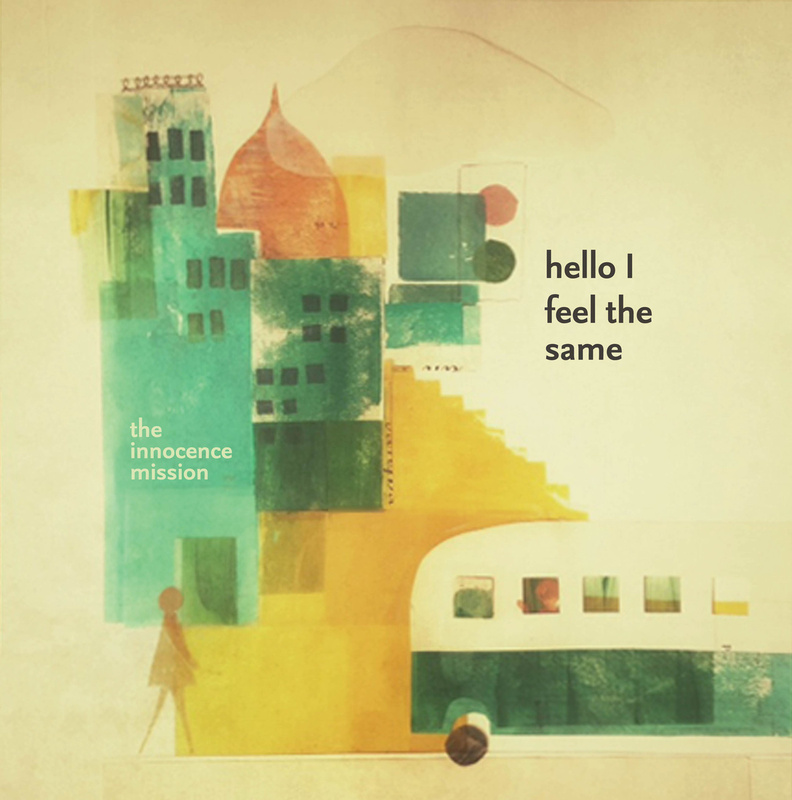 The Innocence Mission have a new record coming out this week: Hello I Feel the Same, from Korda Records. To mark the occasion, I’ve rediscovered a conversation that I enjoyed with them way back in 2002, and that got lost as this blog moved from place to place. Maybe I’ll set up a follow-up conversation soon. Whatever the case, here are some of the things they shared with me more than a decade ago, as I was excited about their latest releases: Christ is My Hope and Small Planes. Tolkien once said that the goal of fantasy should be “escape” first and foremost, and then “consolation” for the return to daily life. This is also an accurate description of what the Peris’s music accomplishes. 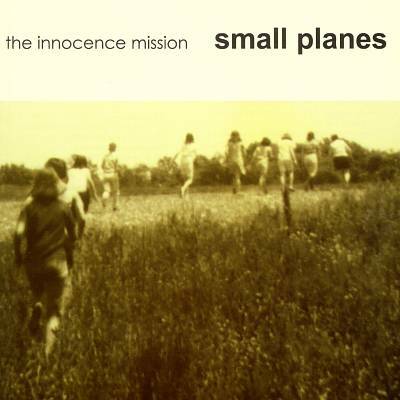 I have long been a fan of the Innocence Mission. I find that when I listen to them I return as though having visited a sacred and liberating world, and my burdens have become lighter. 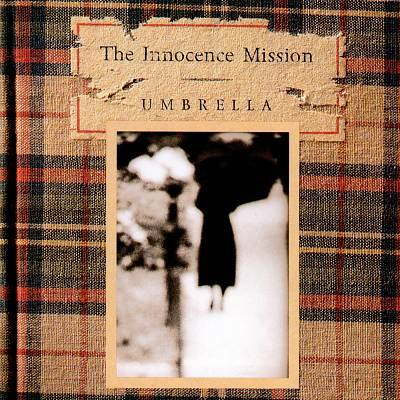 Since 1989’s debut (which was simply titled The Innocence Mission), Don and Karen Peris and their band have offered a variety of pop unmatched by anyone in the crowded scene of contemporary music. Where ego is usually flaunted and celebrated, the Perises perform with hushed humility and grace. 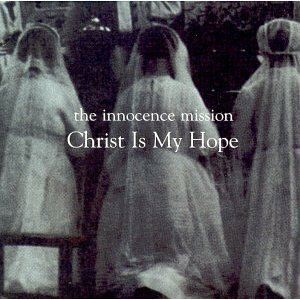 Where most artists bludgeon audiences with noise and sloganeering, the Innocence Mission offer a reverent, hushed collection of poetry. Don favors guitar work that glistens and glows over the searing, self-important roar. And Karen convinces you that every line of the lyrics comes from deep inside her, a confession, a question, or a story not to be taken lightly. I had the privilege recently, as summer turned to autumn, of chatting with Don and Karen about the methods and the motives that set their work apart. Overstreet: You’ve been putting out albums for more than a decade. Are you surprised to find yourself working on a new album in 2001? Karen: I think that we would always write and record because we love making music, but we are surprised to still have an outlet and an audience for what we do. Overstreet: What is the biggest challenge for you in the process of making an album. Lyrics? Music? Recording? Karen: Lyrics are always the biggest challenge for me, to find words that will define the feeling given by the music, and that will feel right with the music. Overstreet: Your lyrics seem to stand alone as excellent poetry. Do you read a lot of poetry? Karen: I do love reading poetry. Gerard Manley Hopkins, Anna Ahkmatova, and Elizabeth Bishop are a few favorites. And reading through big poetry anthologies is wonderful, like glimpsing, or being carried into, so many small worlds. Overstreet: What are you reading these days? Karen: I’ve just finished reading a book of letters between one of my favorite writers, William Maxwell, and his friend Sylvia Townsend Warner. It was really good to read something new of William Maxwell’s. He had passed away this last year. There were some beautiful, long, descriptive letters of his in the book, more like short stories. Overstreet: There is a reverence and a quiet to your music that I have never encountered in any other band. Over the Rhine occasionally explores this territory, and artists like Cowboy Junkies, Sam Phillips, Neil Young, and Bob Dylan have done strong work in more subdued colors. But you seem most at home in songs that seem written for a chapel or a garden than for a rock arena. What draws you to this softer palette? Don: Both of us like so many kinds of music. It may surprise you to know that in my car cd player right now are Larry Norman, Nick Drake, Led Zeppelin, David Gray, and Marvin Gaye. When it comes down to recording, though, arrangements need to suit the tone of the melody and lyrics. Overstreet: Your style seemed to change dramatically after that first release on A&M release in 1989. Does the change in your sound reflect things you’ve learned along the way? Don: I think that each cd is a reflection of where we are at that moment, and that includes a reaction, good or bad, to the previous cd. So, I feel we are always learning what to do, and what not to do. We have worked with some very good and interesting people along the way and have learned a great deal from them. Overstreet: It seemed that, with Umbrella in 1991 you zeroed in on a signature sound, something you’ve polished and refined since then. You don’t seem prone to the sort of drastic reinventions that so many bands attempt with each recurring album. In fact, you seem almost to be retreating, drawing the listener to lean farther forward to hear subtleties and almost whispered confessions and reflections. Is this a conscious progression inward towards more contemplative work? Karen: You know I often wish that I could be Brian Wilson or Phil Spector but so far that hasn’t happened. Some day if we could I’d like to make a really joyful album with a big sound. But we are also drawn to records that have a lot of space around the voice and the other instruments. And spare arrangements often seem to suit my voice and the song best. Overstreet: Marriages in which both partners are creative are often fraught with special difficulties-egos clash, visions differ. Yet the two of you seem to work together effortlessly, as natural as breathing. It is very hard to tell which song was Don’s, which was Karen’s. Is it more difficult than it looks? Are there certain disciplines or habits or things you’ve learned along the way that make working together as artists and as spouses easier and more fruitful? Don: A genuine love for the result of the collaboration is important. Knowing that working together produces something finer, and more meaningful than working apart. Plus, being in love with the person you are creating with keeps things running smoothly and respectfully, keeps us behaving. Karen: We disagree about whether or not to get a dishwasher, but rarely about music. We usually feel the same way about a song, though we each will be affected by it and add to it in our own ways. It is always so important to me that Don is affected by a song of mine. I always play it for him first. If he isn’t touched by it than I’m not as interested in going ahead with it. Don: I would just like to clarify that I am for the dishwasher. Overstreet: Don, what led to your solo project Ten Silver Slide Trombones? Were these songs somehow not right for the band, or perhaps more personal to you? Might we ever hear a Karen solo album? Don: I had been writing and recording my own songs for years, mostly to play for Karen and a few friends. Their encouragement, especially Karen and our friend Denison Witmer, led me to think that I should pull them together into a cd. Overstreet: How has parenthood affected the two of you creatively? Overstreet: Do you find it challenging to balance the demands of daily life with the discipline of music? Don: At times, sure, but I don’t think it any more difficult then balancing daily life with any other career or vocation. Overstreet: Can you tell me about a time or a specific event in which you had a profound conviction that this was all worth doing? Maybe a moment when God gave you a glimpse of just how he can use your work in the world? Karen: I can’t think of one single event. We get beautiful letters asking us to go on recording, and we are amazed by that. That these kind strangers are finding meaning in the songs or feeling connected with them, that is a real happiness for us. Overstreet: Why do you suppose you became songwriters? Did your families encourage you to be musicians? Or was it an intuitive sort of call? Karen: My brother Ric had a guitar and sang and he let me bang on it and make up little songs. My parents bought me my own guitar when I was ten. It has always been natural to sing melodies over chord changes, always a release and a happiness. With lyrics…I often feel tongue-tied in conversation, I listen much more than I talk and it often seems to me that I have a lot of trouble expressing my thoughts. So writing, though it can be a labor, is really satisfying, is a happiness. Overstreet: What do you find is the best kind of support and encouragement you receive from your friends and your fellow songwriters? Don: As Karen has said, the support from e-mails and letters are a great encouragement. I think that when people tell you that what you are doing has touched them, or that they appreciate it in some way really is a great kindness. Fortunately, we have some wonderful friends who do that and I hope that we in turn encourage them in what they do. Overstreet: How does a typical song come together? Do you reach a moment when you know a song is finished? How do you measure when it is complete? Karen: I’m not sure how to answer that except to say that a song just feels finished. If we are still moved in some way by a song by the time it is finished than we’ll put it on a record. A lot of times songs never make it to the recording stage. Usually when a song is brand new it will feel like the best thing I’ve been able to write and usually I will realize that I was very wrong about that and put the song away. Overstreet: I imagine that you have had an easier time with your music in relation to the church than many contemporary musicians because there is a lot of similarity in tone between your writing and a long tradition of sacred music. And your love of sacred music was clearly celebrated in Christ is my Hope. Have your experiences as artists within the church been positive? Do you find yourselves understood and welcomed there? Don: Both of us grew up having the joy and privilege of being able to participate musically in liturgies, of seeing a worth placed on what we have to offer, of knowing that there can be a place for music in the reverence of worship. Both of us have had the pleasure of knowing good Sisters, nuns who encouraged in us a love of music, by their example of being musicians themselves, and of creating opportunities for us and others to be involved. There is an older man (88 years old) at our church here in Lancaster, who was the music director for many years, who has given so much to our parish and who deepened our love of traditional hymns. We dedicated the Christ Is My Hope cd to him. So, yes, our experiences have been positive. Overstreet: Turning to your tours and experiences outside of a community of faith… how have mainstream audiences responded to your focus on such blatantly spiritual subjects and sentiments? Don: You know… people that we have met everywhere along the way have almost always amazed us with their kindness, and goodness. We have always known audiences that are loving, welcoming, supporting, and responsive. It makes me miss touring. To see people, who are strangers, and to feel that instead they are friends. Karen: Yeah, that is the amazing thing about touring. The feeling of community that happens with each audience. Overstreet: Tell us about someone who greatly encouraged or helped you in your artistic journey, and how they did it. Karen: The two producers we worked with on our first three records, Larry Klein and Dennis Herring, took such care with each song and the way it was communicated. They inspired such excitement in all of us about the recording process. Overstreet: Along the same lines, tell us about something that someone did that was a hindrance or a blow to your progress. Don: Well, sure, all of us are faced with obstacles to progress at times. Where people have been the obstacle, I think these are best kept private. Overstreet: What artist has affected you the most profoundly in your lifetime? Don: Okay, this will prove to be really very sappy. For me, it has always been my wife, Karen. She writes and sings and creates in a way that makes me feel alive, that has always given me hope, that has given me glimpses of sadness and joy, and that always reminds me of the beauty and longing of life. Overstreet: To the artist who is blocked, stuck, or struggling, what would you suggest for rejuvenating or renewing the creative impulse. Karen: Listening to great music or reading great writing always makes me want to sing and play, to write something. Overstreet: If you could go back and talk to yourself in the days just prior to your decision to pursue your craft seriously, what would you say to yourself? What advice, encouragement, information, or warnings would you offer? Karen: I often wish we would have waited five more years or so before trying to get a record deal. I think that I, at least, was too young in some ways, my singing was too imitative, for one thing, when we made the first record. But it is easy to not be in a hurry in hindsight.